With a 150 guest maximum capacity, LON’s at the Hermosa has varied sized private rooms and outdoor spaces, for both small and large groups. For additional information please contact us at 602-792-1914. 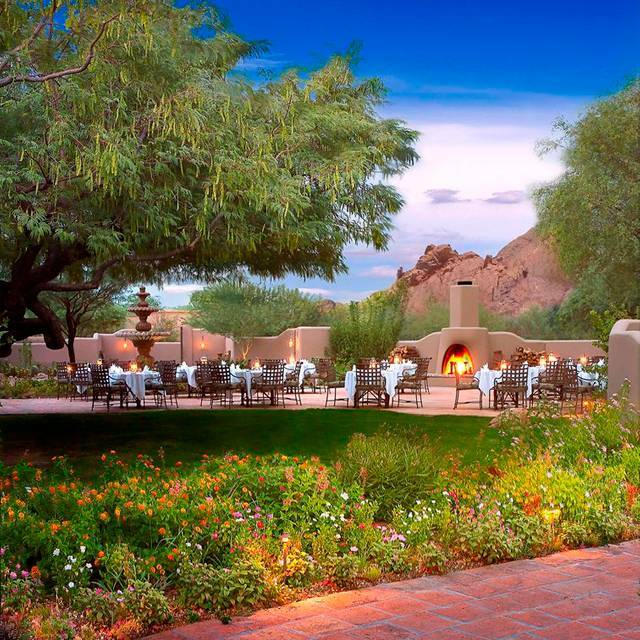 LON’s at the Hermosa is an authentic Arizona hacienda surrounded by spectacular scenery. 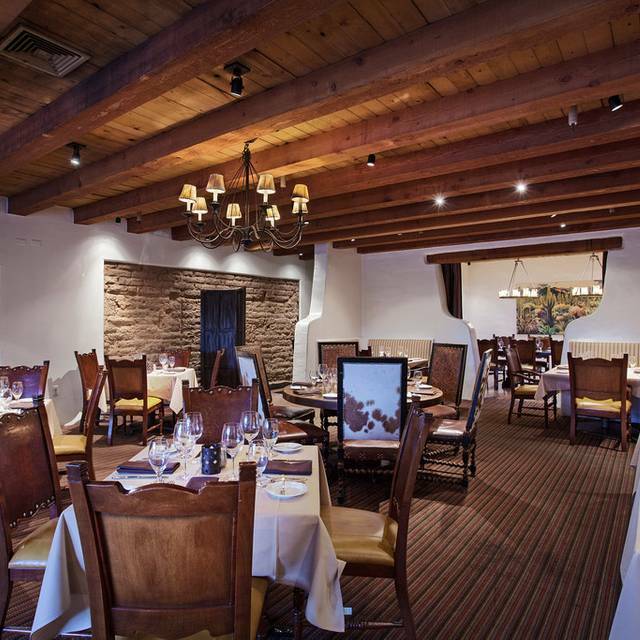 Its elegant dining room melds homemade adobe and rustic ironwork with flattering lighting and carefully set tables. 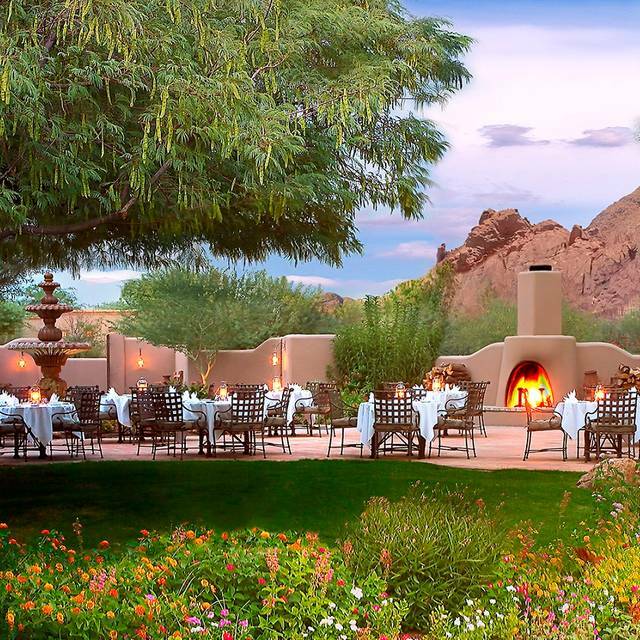 Enjoy award-winning Globally inspired Arizona fare on the spacious patio, or by one of the fireplaces throughout the lounge and dining areas, adorned with art pieces by Lon Megargee. 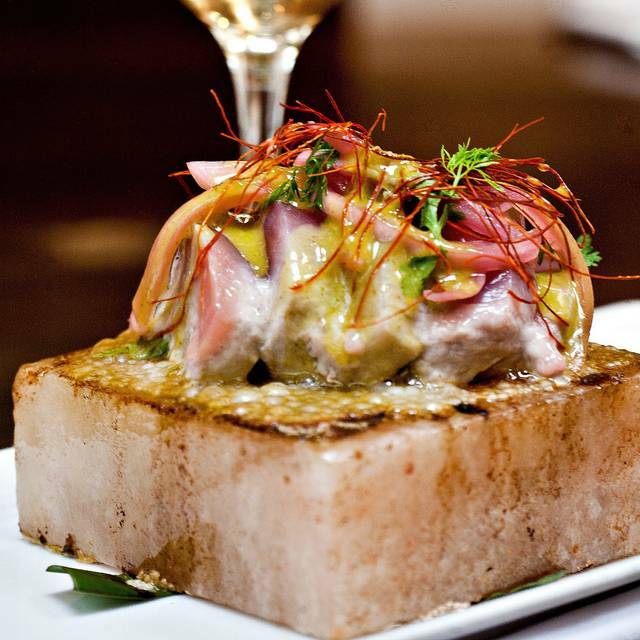 The menus at LON’s offer a memorable culinary experience, which captures spirit, creativity and warmth using bold flavors and compelling combinations that reflect a contemporary take on the multitude of foods originating in the Western Hemisphere. house pancetta, Abby Lee tomatoes, pickled onions, quark "ranch"
Birthday. Service was timely and professional. The ambiance on the patio with the fountain and lights in trees is beautiful and romantic. The food is delicious! Thank you! Such a beautiful oasis in the city- one of our one favorite places . Food is usually good, but the service this time was the worst. Waiter never returned To check on us ; couldn’t even flag down another ......it was as as if we didn’t exist No excuse for poor service . It’s unfair to say the service was poor. The waiter could not have been better. He was very adept at making a somewhat bad situation better. Took over an hour1/2 to get our main entree. Kitchen had significant issues. Great place to celebrate a special birthday. The Lon’s team was attentive at every step, from the hostess to the wait staff-our waiter, Vince, was exceptional!! Can’t beat the outdoor dining experience anywhere. Definitely one of the best restaurants in the Phoenix area. I especially recommend dining outside on the patio. Beautiful outdoor dining on the patio for brunch. I am in looooooove!!! This was THE best meal I’ve had in s long, long, long time. The Lobster Benedict was diiiiiiiiivvvvvvviiiiine. The Sangria was habit forming and the Churros were fantastic. Not to mention, the setting is sublime. Once again Lon's proved it is one of Phoenix's best. Last minute reservations worked out. Not only is the setting (that patio - I mean come on - gorgeous) just sublime, but the service was outstanding. Richie took such good care of us. The icing on this gem is the food from Chef Jeremy... As always blew us all away. This family gathering was treated very well by all servers and wait staff. The food was good and the outdoor patio space was lovely and memorable. 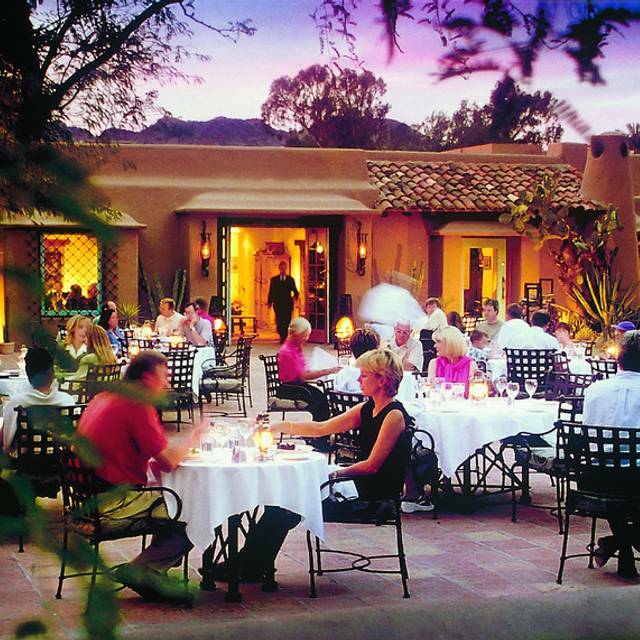 We live in Paradise Valley and took out of town guests to Lon's for patio dining at lunch. Arrived 15 minutes ahead of our reservation. The hostess informed me that they don't seat parties ahead of the time of the reservation in deference to staff needs. There were many tables including the one we eventually were seated at that were empty. I've never encountered this policy at any restaurant in town. She was curt and dismissed us. We came back at 12:15 and two women were at the hostess station without a reservation and were told the patio was booked. However, as I stood there, they were led to a table near ours ahead of us. Hostess came back and said nothing about thanks for waiting, hope you are enjoying the day, etc. and led us to the table while warning us not to trip over the many umbrella stands in the dining area. She was way ahead of us and left the menus on the table. The landscape crews were busy and were blowing leaves around nearby during most of the meal. I know the grounds need tending, but during the lunch serving time, you'd think the landscape crews would avoid the dining area. Waiter was friendly and pleasant. Food was reasonably good and our guests loved the seafood louie salad, and the pulled pork sandwich. I'm ambivalent about returning given the attitude of the hostess. We sat outside and had the best waiter Brandon. He bent over backwards for us. For some reason the flies were loving us. He said that is because we were all sweet. He brought out citronella candles which helped a little. We were celebrating our friends 80th BD so we wanted it to be extra special which it was. Excellent venue, food was good but not great for the cost. I always have at least 1 dinner at Lon's whether I'm in town for business or pleasure. The exquisite outdoor atmosphere, the soft guitar performer in the background, and the overall inviting atmosphere is a slam dunk winner. 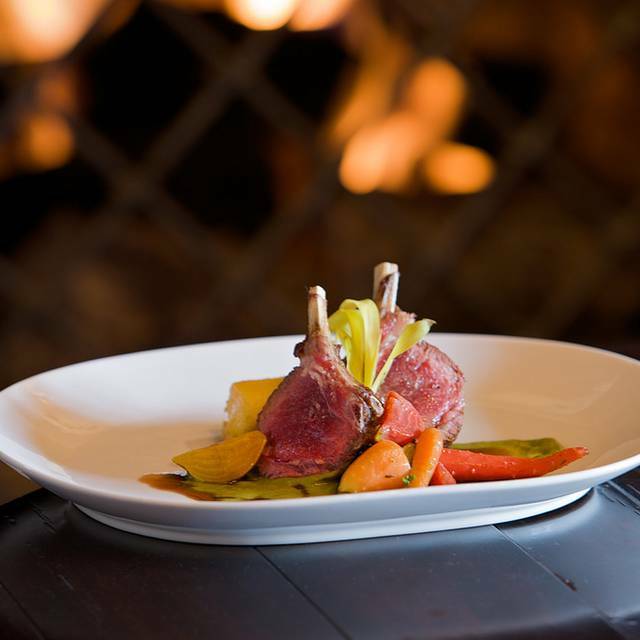 Cuisine is outstanding, service is impeccable, and if you can stay at The Hermosa Inn - all the better! 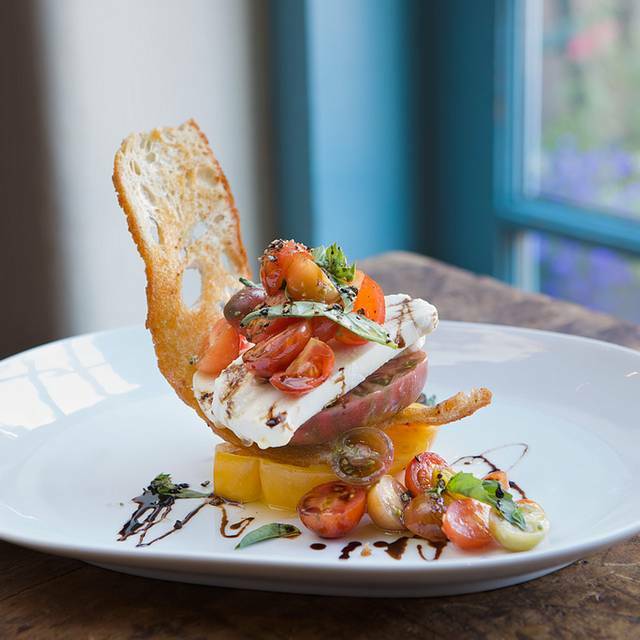 An award winning restaurant in an award winning boutique property! I would definitely recommend the patio, which we were able to get for a 5:45 seating. It got MUCH busier later. The inside restaurant looked a bit dark. The food was absolutely delicious We normally try to avoid the bread, but couldn't resist what was offered. In fact we asked for more of the spicy flatbread it was so good. Wish I could get that recipe. My husband and I shared the ahi tuna appetizer...excellent. Then he ordered the short ribs and I had the halibut. 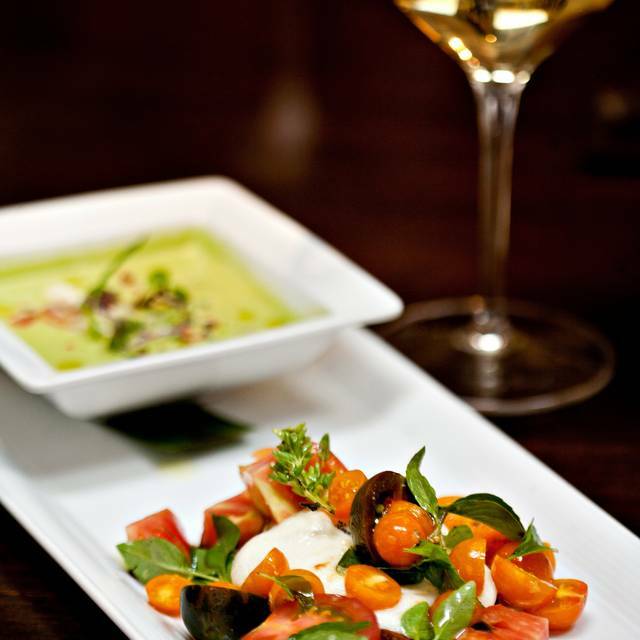 Both dishes were beautifully prepared and presented. Can't wait to go back!! Lon’s is incredible- always a treat! Steaks and service were outstanding. Absolutely beautiful setting wonderful food & service. From the moment we arrived, we knew the meal would be special. The patio was ablaze with colorful flowers, the staff hustled about but was very friendly and the food was fantastic. Our server, Ameya, made sure we had everything we needed and made wonderful recommendations. The beauty of Lon's patio area cannot be overstated. Even the smell was intoxicating! 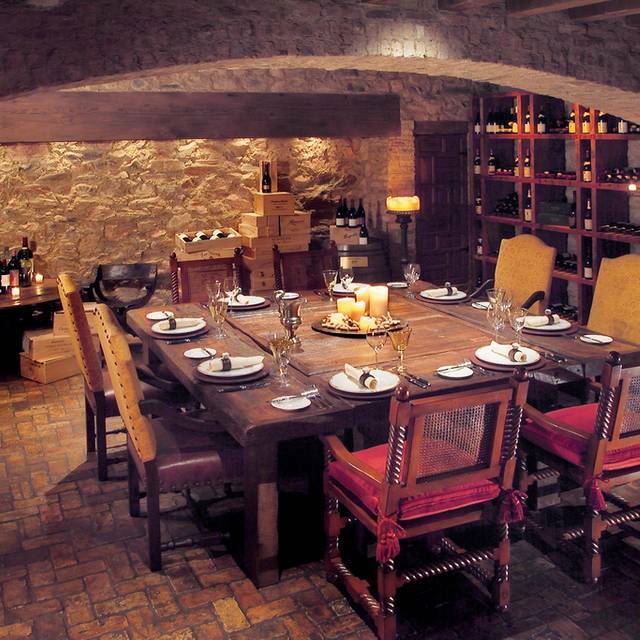 We highly recommend this treasured jewel in the desert. Lovely outdoor patio! Great garden for photos. Great food. Very mediocre service. Asked two people for a glass of ice and that took fifteen minutes. Asked two people for extra bread which never arrived. Our waiter was not attentive and had to flag him down for anything we wanted outside of ordering our food. A truly wonderful place to spend some time. The atmosphere is very relaxing, the food great. We always love Lons but something was off.... We arrived early and were told we had to wait for our reservation time. We were waiting for the patio. Ok.....but there were many tables for 5 with no-one at them? We waited until 15 minutes past our reservation time and I finally went to ask what we were waiting for? Both hostess' were less than pleasant- and we were told there wasn't a guarantee of the patio... I then asked why we hadn't been told that 30-40 minutes earlier? No explanation. Then the hostess tried to seat us at a table in the direct sun and there were 2 tables with at least partial shade next to it...We asked for the umbrellas to be moved...not possible...15 mins later with half of our party in the sun another table wanted our umbrella moved and the waiter asked if we would mind...Are you kidding??? I said no we were told the umbrellas couldn't be moved and he said that he could move them! I was really annoyed with the hostess' by now! Thanks to the other waiter we were all in the shade. Our service was just ok...and I get it the waiter was a trainer so we didn't make a fuss. The hostess' need some customer service training. The food was great and the ambiance was as wonderful as always. It was just frustrating to be treated that way at a place that always have impeccable service. Ambiance can't be beat---service was outstanding--angela was efficient, knowledgeable, pleasant--on top of all of our needs--everyone enjoyed their food and drink--no more beautiful place to enjoy brunch! Amazing food and amazing patio seating. We made a reservation specifically for outside and when we showed up on time for our reservation we were told outside was a 1 hour wait. We were stuck in an empty inside restaurant to eat. Kind of a bummer when this was your first time and excited to dine the full experience. Amazing service and food, we will be back! We had a wonderful lunch on the patio with perfect weather. The service provided by Nick was outstanding and added to the great experience. Looking forward to many more visits to Lon's over the coming years!! We go to Lon’s whenever we’re in Scottsdale and usually more than once. Our last visit was to celebrate our anniversary. They had a card signed by the staff at our table. The food as always was excellent and our server was great. Lon’s is one of our favorite places to eat in the Phoenix area. The outdoor setting is just beautiful and the food is always spectacular. I've been going to Lon's for decades for special occasions and everything in between. At this point in my life, I cannot even count the number of special occasions. I introduced my parents to Lon's for their anniversary and that was their "go to" spot for all their anniversaries until my dad passed away. I was there on Tuesday night for another special occasion and it was one of the most perfect evenings of my life! When it comes to perfection, ambiance and all the important sensory points that add to an amAZing Arizona experience, Lon's is my hands-down favorite! Poor service -Cobb salads had very little dressing and were tasteless. Service was extremely slow and waitress kept apologizing but it took over an hour to get the salads .